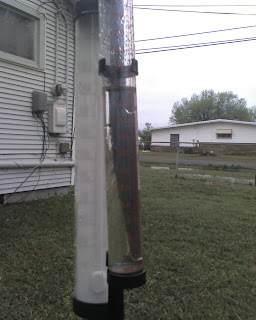 RickBoyne.com: 5 1/2 inches in my rain guage! 5 1/2 inches in my rain guage! It was a "top-down" kind of day! Technically, it IS a dog.